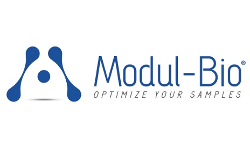 Founded in 2003, Modul-Bio specializes in computer solutions for biological sample management with the implementation of barcode systems, Laboratory Information Management Systems (LIMS) and collaborative tools for sharing biological sample collections. Based in Marseilles - France, Modul-Bio has recorded consistent growth, deploying solutions for Biological Resource Centers, national cohort projects, biotechnology and cosmetics firms as well as diagnostic companies. Boasting expertise in computing and biology, the company has earned the recognition of commercial clients, academic clients and hospitals, mainly in Europe but also in Middle East and in US. Modul-Bio posts a steadily rising sales figure with over 250 laboratories using its solutions, making it a key player on the biobanking software market. Within the IMODI consortium, Modul-Bio is in charge of the software that allows the registration and consultation of the data collected for the selected pathologies. The management of all generated samples from IMODI consortium. The registration of the data coming from different sources (e-CRF, Microbiota, Biobank). The registration and organization of characterization data (oncograms, histological data, genomics and transcriptomics data as well as immunological profile of tumors and models). The registration of pharmacological data from the models or cell lines.